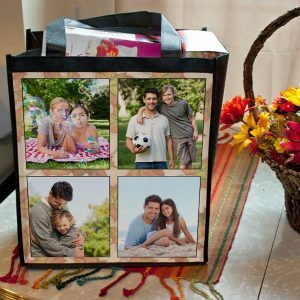 At RitzPix, you can order photo prints as well as unique, custom gifts and accessories designed with your most cherished digital images. Whether you’re looking for personalized décor for your home or want to find something special for a loved one, our custom gifts can be designed with photos, text and a huge selection of designer options. Begin by uploading your photos to RitzPix and choose from hundreds of custom options to highlight your favorite photographic moments! If you’re looking for creative Mother’s Day gifts then you’ve come to the right place! If Mom’s into baking, you can make her a personalized photo apron. Or, create a custom printed photo mug, so that she can enjoy her favorite morning beverage in style. With our photo gift maker, you can upload photos, choose a photo layout and customize it with photos and text. Make this Mother’s Day one to remember with our collection of personalized Mother’s Day gifts and include a custom Mother’s Day card that you can design yourself with photos and a loving message to Mom. For meaningful Mothers Day gifts and cards, look no further than RitzPix. Customize the look of any room in your home with our personalized home décor collection. Dress up your dining table with our custom photo place mats or add life to your bathroom and design your own shower curtain. Photos are a great way to add character to any area of your home. Maybe you have some cute pet snapshots or a few vacation photos saved on your phone. Upload them to RitzPix and incorporate them into your décor. We have several options to choose from that are both practical and decorative, no matter your style. Speaking of home décor, we have several options to decorate your sofa or bed with color and character. 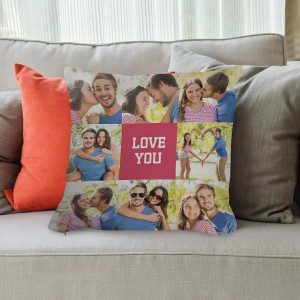 Our custom photo pillow collection includes pillowcases, throw pillows and even outdoor patio pillows that can all be designed with a collage of memories. Add your own text and choose from dozens of templates to match any color scheme or style to compliment home! Don’t forget about our personalized photo blankets! 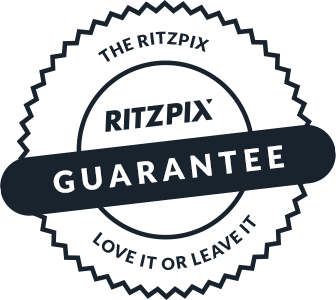 We have multiple sizes and materials to choose from. Create a fleece baby blanket for your little one or go big and cozy with our large plush fleece option to keep the whole family warm while watching a movie on the family room sofa. The options are endless! Personalized décor doesn’t have to stop at the bedroom or family room. We have several custom kitchen and dining accessories that will add a personal touch to your family meal each day. Entertain house guests with our custom photo coasters or personalize your dining table with our photo table runner. 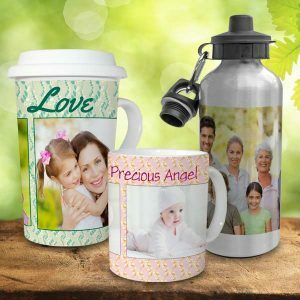 We have several photo décor options that are both practical and unique including a whole selection of custom photo mugs that will brighten your daily routine with your treasured moments. Perfect for your home office or desk space at work, our personalized office accessories add character to your work and make fabulous gifts for family, friends and coworkers. 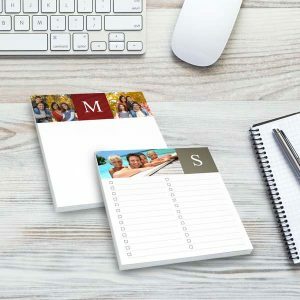 Jot down important notes with your personalized notepads or show off a favorite photo with one of our custom photo mouse pads. Not only can you add your own photos to your design, you can customize it with your name and our wide variety of stylish templates. Looking for a unique T-shirt or maybe a custom hoodie to personalize your look? Our personalized photo clothing collection can be fully customized with photos, text and a huge selection of background styles, patterns and colors to compliment your inimitable style! Upload your own scanned artwork and create a one-of-a-kind T-shirt or make your own photo scarf with a collage of your best vacation photos. Our customized apparel is sure to turn heads and can be worn to express your style in a unique, fun way. We have clothing and accessories for the whole family. In addition to clothing, you can personalize your own keychain or create your own tote bag so you can relive your prized memories, each and every day! Maybe your son or daughter has an upcoming birthday or you want to give them something special “just because”. Upload your child’s favorite photos or their own artwork to create amazing gifts that they’ll simply adore. 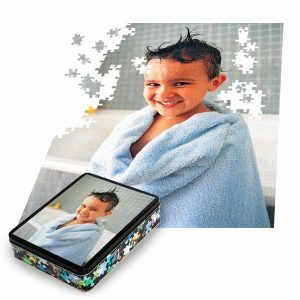 Our unique photo puzzle comes with a classic tin case and makes a great gift for a rainy day at home. You can design it with a favorite family snapshot or upload a scanned drawing from your child’s art class for the perfect gift. Speaking of rainy days, how about a deck of photo playing cards? 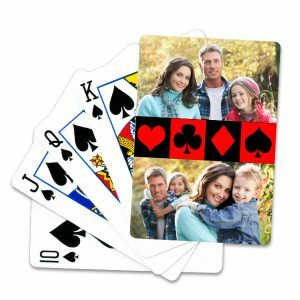 You can make yours with a collage of photos or use our full photo option to make any family card game a special occasion. Your little ones grow up fast! 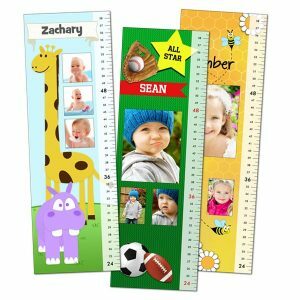 Keep track of their height with a custom photo growth chart! We have several templates available to fit your kid’s personality and you can personalize it with their photo and name for a fun addition to their bedroom’s wall décor. Whether you’re celebrating their birthday or you’re looking for a unique holiday gift, our custom photo games and toys are a great idea for any occasion! Pets are certainly part of the family! That’s why RitzPix has several fun gifts that are perfect for your four-legged friends. Design custom dog bowls and dishes for your cats. We have several pet themed backgrounds and templates that are ideal for creating the ultimate food dish for your furry pals. You can also create a custom place mat and a fleece photo blanket to make an amazing pet gift set. Choose your furry friends cutest snapshots and design the perfect pet accessory that’s brimming with personality! 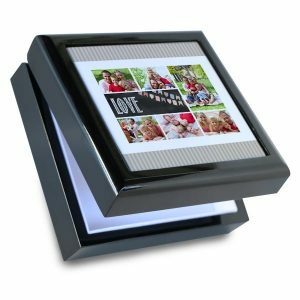 Photo gifts are a heartwarming option for holiday gifts and décor. Make your own holiday ornaments with photos and decorate your tree with a personal touch. We have a ton of ornament options including classic porcelain ornaments, beveled glass, rustic wood and more to compliment your holiday style! Capturing your treasured moments couldn’t be easier in this day in age. With today’s smart phones and digital cameras, we are lucky enough to hold onto our most prized memories whether it’s a wedding or day trip with the family. At RitzPix, you can celebrate these moments not only with photo prints but our custom photo gift collection. 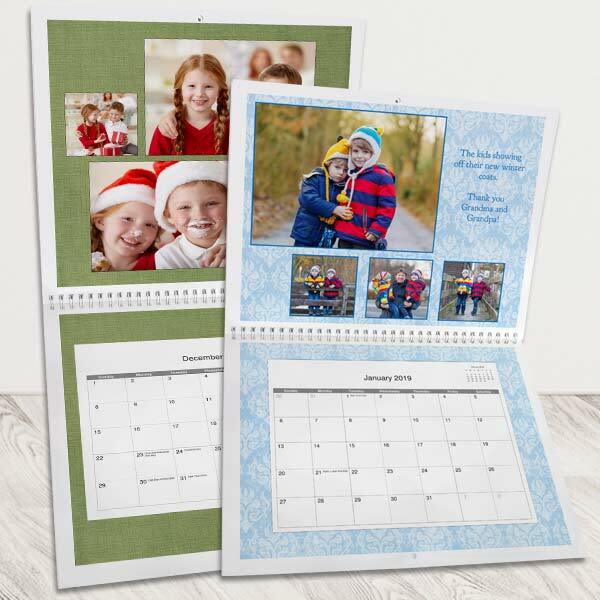 Whether you’re creating your own photo t-shirt or sprucing up your home with our personalized décor collection, you can use our convenient project builder to design amazing gifts, accessories and more all in one place. Don’t let your photos get lost in the digital shuffle. Showcase them with our personalized photo products and design them to express your own unique style!